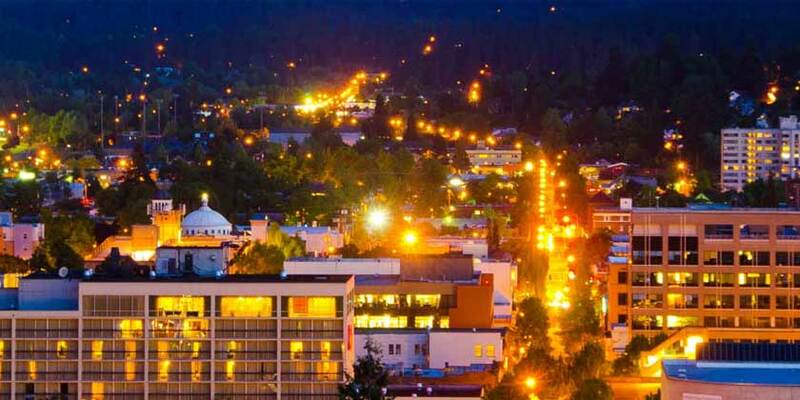 Eugene, Oregon’s second-largest city, is a dynamic mix of arts and culture, shopping and dining, entertainment and sports. The surrounding Willamette Valley is the agricultural heart of Oregon, famous for its family farms and wineries. The valley’s historic small towns and back roads are ripe for exploration by bike or by car.